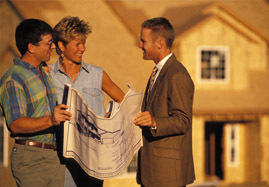 While scoping out newer developments seeking new construction, having a knowledgeable Realtor with you is important. is here to help you navigate the seeming infinite number of new homes today to locate one that's been built for your family. People that buy new construction in a neighborhood don't like to see houses sold after theirs go for less money, so builders aren't as apt to bend on price. (You'll appreciate this behavior after you've bought a home in a development of new construction!) Regardless, depending on the market and the status of the project, there's sometimes room for negotiation. Consider a property has been on the market a long time and the builder is deeply invested, then you have some room. The same goes for show or model homes that have been sitting for a while. However, if a home was just finished, it's unlikely you'll get a deal. You can always ask for assistance in other ways when purchasing new construction. For example, closing costs are one way for you to save without lowering the price of the house. The same goes for amenities - ask for things an allowance for window treatments, a garage door opener, a fence or landscaping, or an extended home warranty.That can go the other way around, too. If upgrades are already in the contract, see if you can get the builder to remove them - you might be able to install them later yourself at a savings anyway. Just because a house is brand new, it can still have its share of flaws. Be sure to get a home inspection before purchase so that issues are handled and also negotiate a home warranty. Then, about 10 or 11 months after purchase it's worth it to pay for an inspection and get anything else repaired before the warranty expires. At Heidi Gravel, I'll make it my #1 priority to find you a new home that meets your needs and fits within your budget. Give me a call at 863-676-8058 to launch the search for your new home today. Westlake Real Estate Co., Inc.